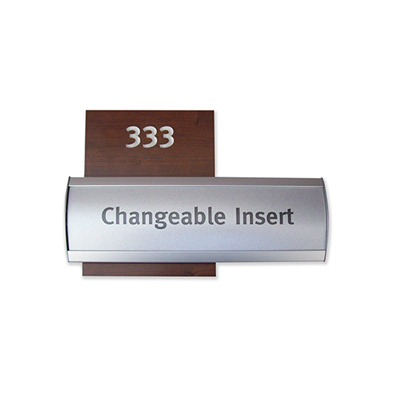 Easy in-house maintainence by end users. 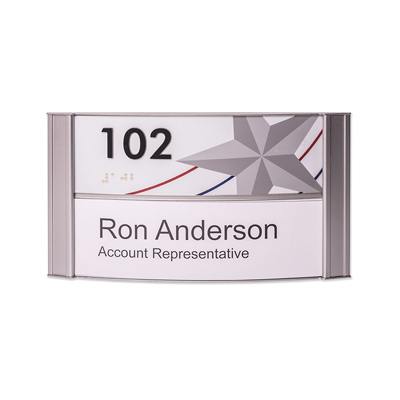 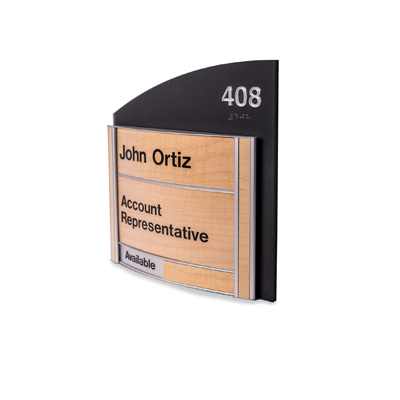 X-Site™ Curved Surface Signage is a complete interiors signage system that meets all your requirements for a stylish, contemporary alternative for workstations, offices, cubicles, walls and more. 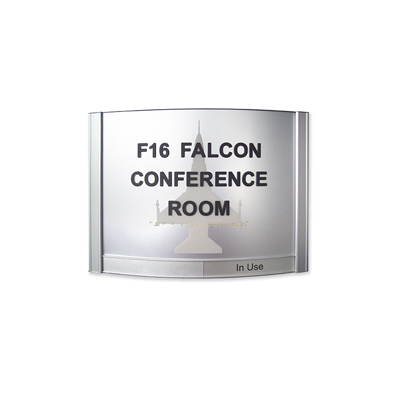 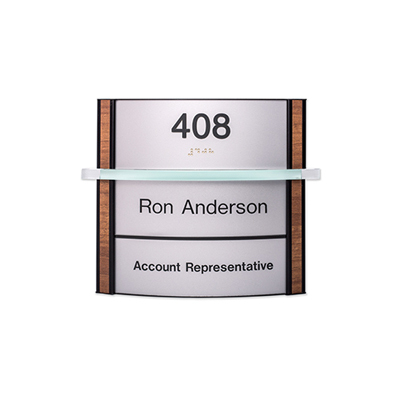 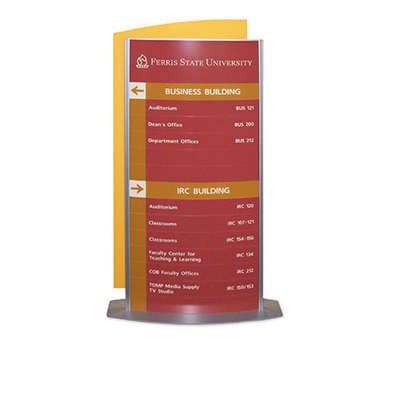 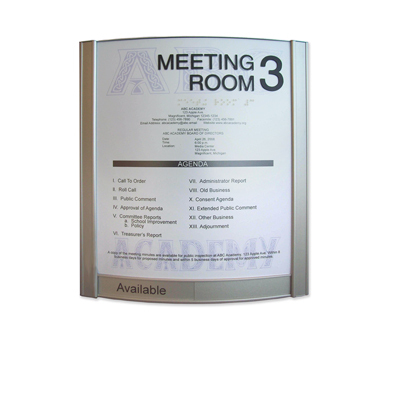 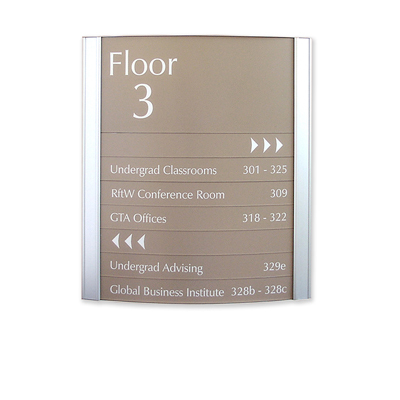 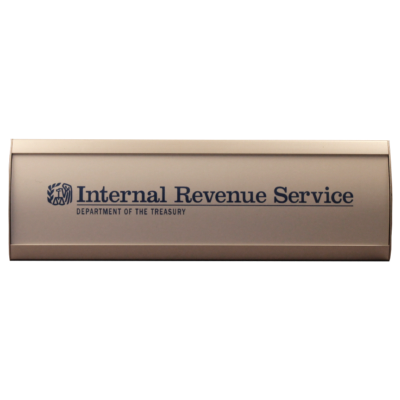 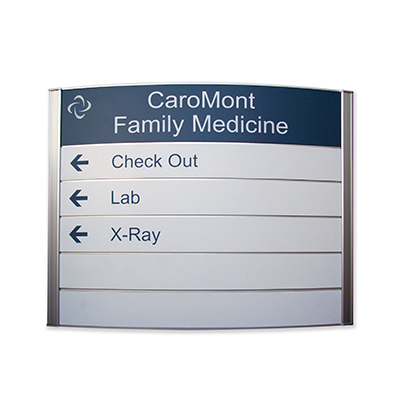 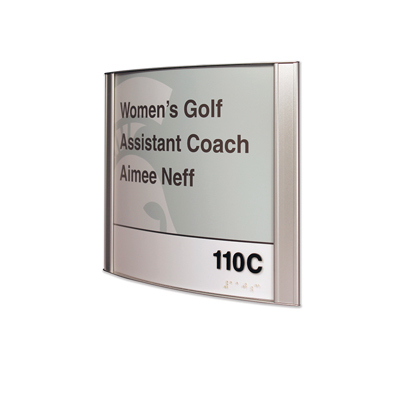 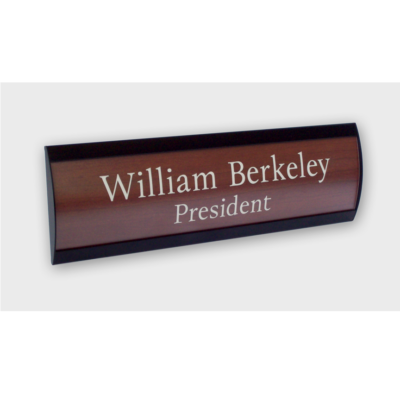 Our curved surface signs feature a variety of options, including replaceable graphic inserts protected by a lens that requires a suction cup for removal. 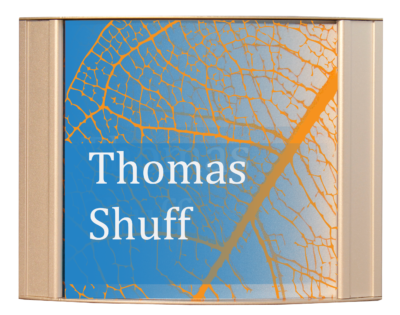 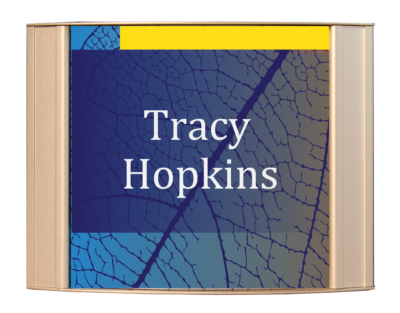 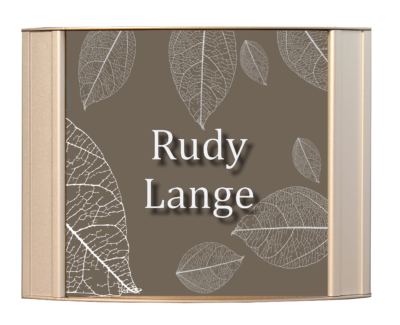 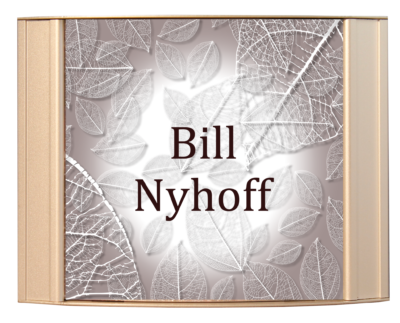 Thousands of photo/ graphic backgrounds to choose from (or your own photo/graphic) in a variety of themes, catagories and subjects. 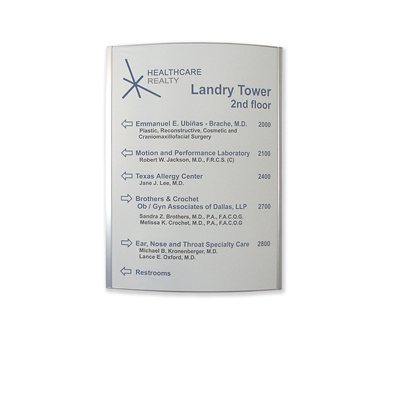 High resolution, museum quality, image printed on thin plastic that won’t fade or ripple over time like paper. 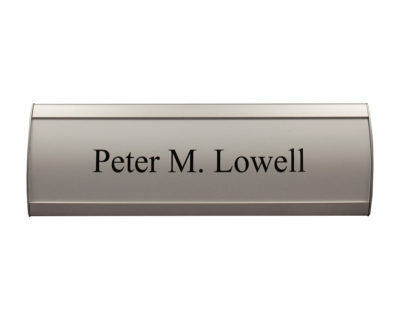 Copy/lettering (names, titles, etc.) 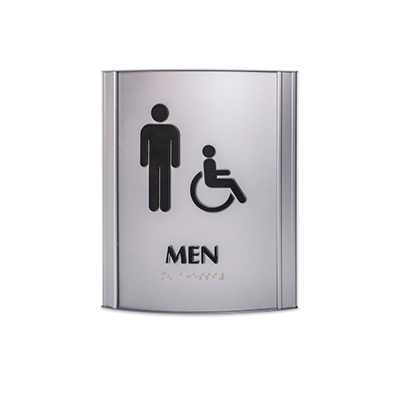 can be can be embedded into the image.